Only a little Sugar-Coated: Argh. Still working at this boundary stuff. that sounds brave. I have been caught in those situations too, where I just want to leave,but don't know how to get out of the place without hurting the other peoples feelings. on new years eve, I was at a friends house, and it was 11, but I was done, ready to go home, and I was able to leave then becaues there were lots of other people around. but, I still did feel bad. I have also intentionally made plans where I know I have something to do shortly after so that I have a reason to leave. somethings that works, but is it being honest? Good for you! It will get easier. Boundaries. They are very important. I admire your willingness to reach out and ask others to help with the goals you are setting. As well, I can relate in wanting to "please" or "stay" if someone needs me right at that moment or the next. However, taking care of yourself in all the ways you are coming to understand are vital to and for YOU is important. I needed to read this right now. Thank you for sharing and I hope you can have some peace of mind knowing that you aren't hurting others by stating what you need or want. You are simply communicating and it is up to them how they receive it. I deleted my comment- sorry, I must have misread your post and somehow did not see that you had written basically what I put in my comment. Sorry about that. I think you are well on your way to achieving your goal. Sharing it with others and having them help you is a good idea in that they know you are working on something important for yourself. They can feel good that they are helping you too. Also, the better we take care of ourselves, the better we can be there for others. Good luck with everything! 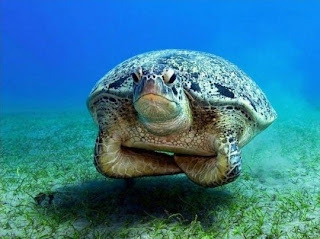 Oh, I love the photo of the turtle!